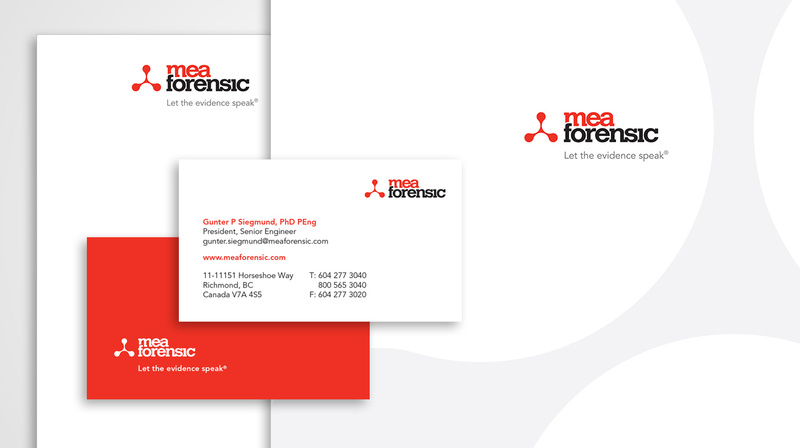 MEA Forensic had outgrown its existing brand. Founded decades ago as a one-office consulting firm in Metro Vancouver, the firm had grown to become an industry leader with offices in Toronto, British Columbia and California with the hard-won experience gleaned from their involvement in over 40,000 cases. With broad service offerings and increasingly diversified expertise the firm’s existing branding failed to convey the depth and scale of what the organization had become. Skunkworks worked directly with MEA’s President and Senior Engineer, Günter Siegmund PhD., P.Eng, to develop a new identity that accurately conveys the modern technological nature of the company’s work. 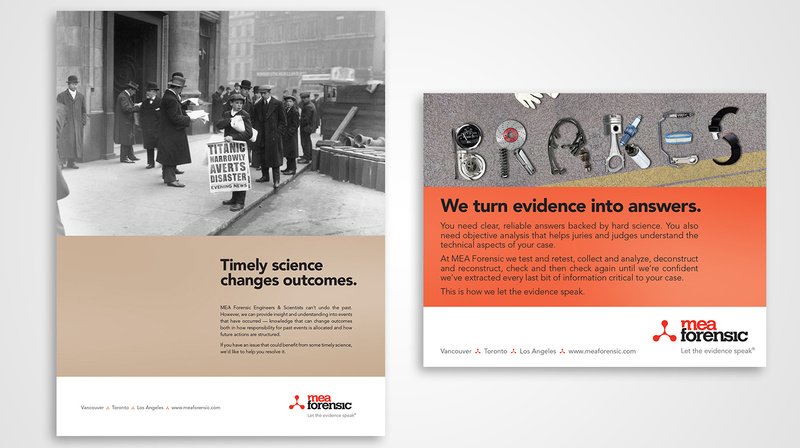 After extensive consultations with Mr. Siegmund and his team of engineers we retained the firm’s slogan “Let the Evidence Speak,” which had notably strong internal buy-in, but developed an all-new icon and colour palette that better reflected the firm’s stature and objectives. 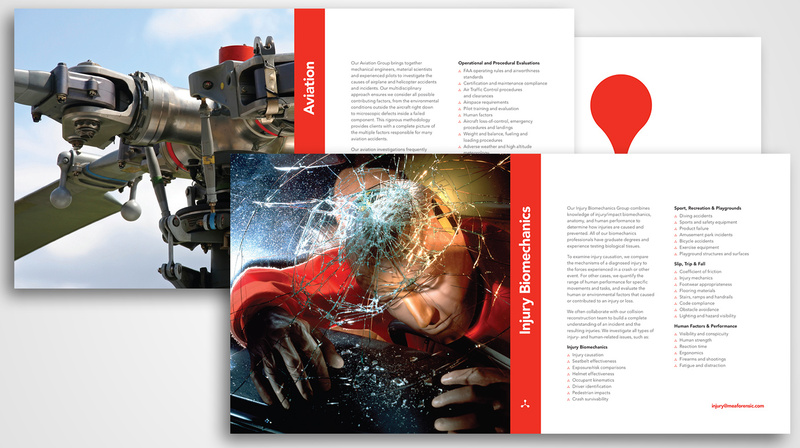 We also developed new print collateral and imagery assets that help MEA communicate effectively to its target audiences. The result is a brand identity that is bold, simple, and – in keeping with the firm’s tagline – speaks for itself.